In 1776 Charles Willson Peale added a portrait of his wife, Rachel, to his earlier commemorative portrait of their daughter Margaret, who died of smallpox in 1772. The newly enlarged composition, seen here, demonstrated Peale's artistic sophistication by evoking the traditional image of the Virgin and child, which underlined the sacredness of this familial bond. Viewing the picture in 1776, John Adams wrote he was "much moved by it." 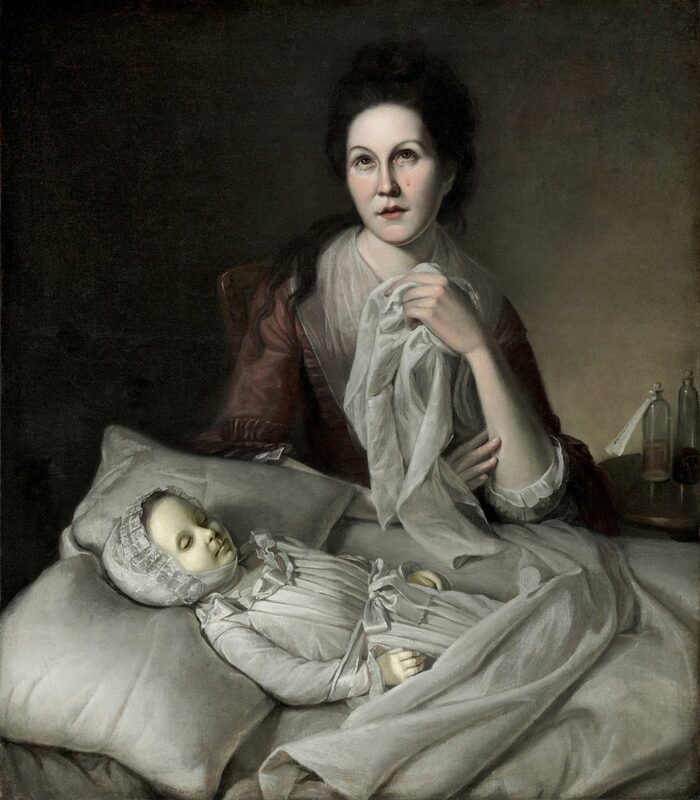 In 1782 Peale advertised Mrs. Peale Lamenting the Death of Her Child as a feature of his new painting room but sequestered it behind a curtain with the warning: "Before you draw this curtain Consider whether you will afflict a Mother or Father who has lost a Child."